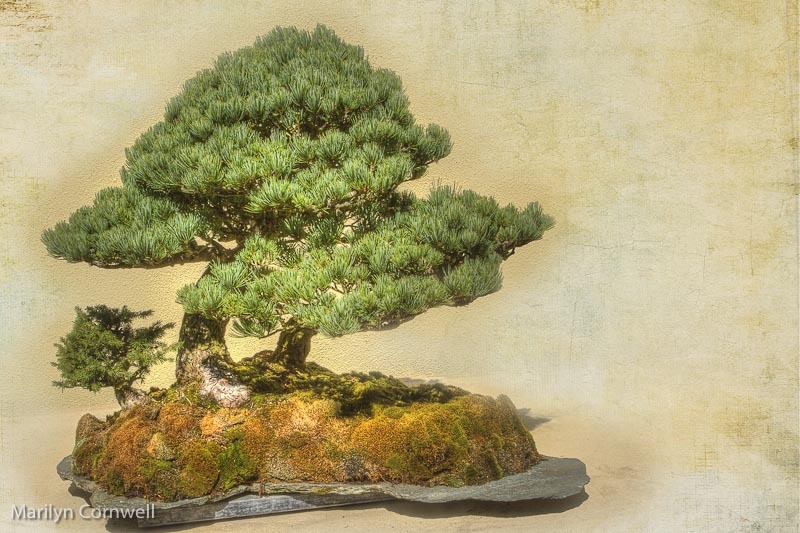 The Pacific Rim Bonsai Collection is located at the Weyerhaeuser Headquarters south of Seattle WA. 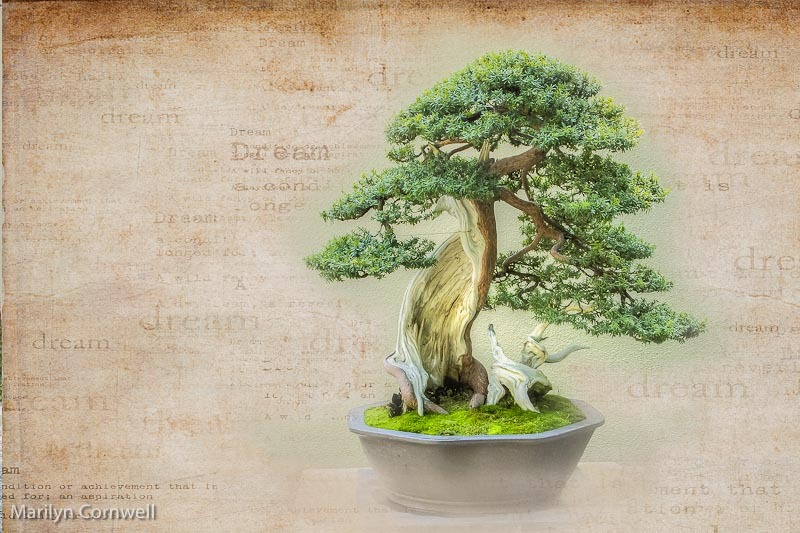 The trees are located outside in a viewing area so that each specimen can be appreciated. The Pacific Rim Bonsai Collection is located at the Weyerhaeuser Headquarters south of Seattle WA. The trees are located outside in a viewing area so that each specimen can be appreciated. This tree is a Korean Yew. Reading about each tree was itself an experience. Some of trees were created in interesting ways. 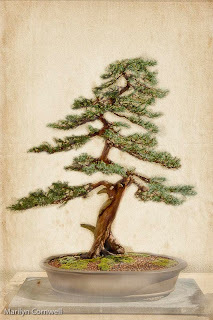 Some started their bonsai experience as a stunted trunk with few branches living in their natural growing environment. They might be hundreds of years old, living in difficult growing conditions that keep them stunted. These special trees were dug up and transplanted and trained to grow in the small pots. Specimens are then grafted onto the living trunk and the training of a tree begins its journey.